Do not go by Australia’s reputation as the land Down Under! 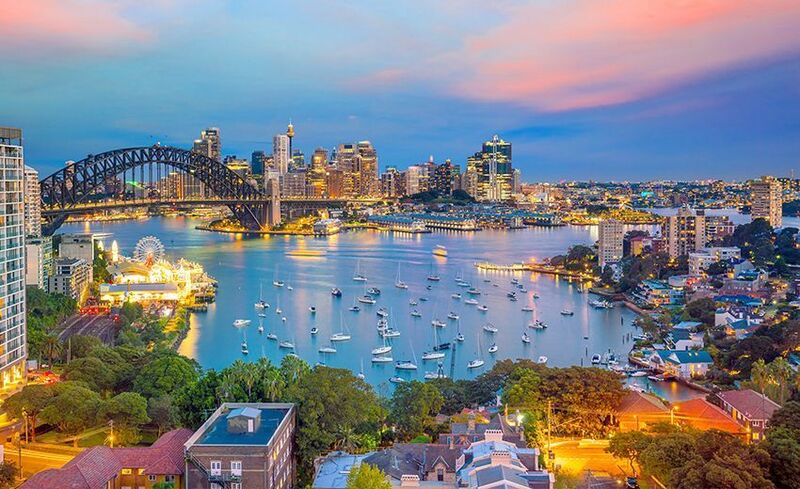 Australia is hip and happening, full of life and energy, history, beautiful landscapes, mountains, deserts and is the world’s most popular diving spot! 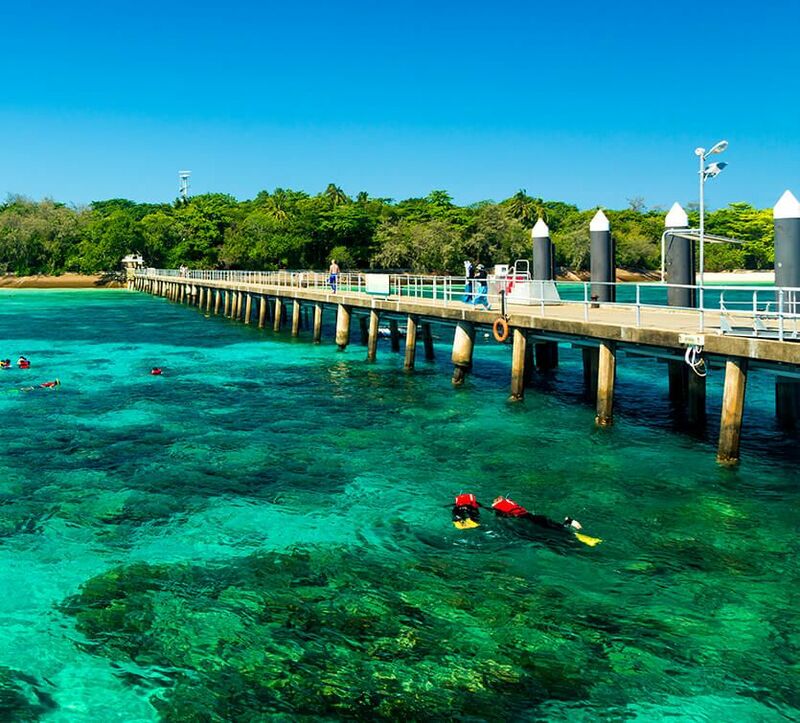 Yes, we mean the Great Barrier Reef – and that is just the glimpse of your underwater adventure. It is a country full of natural wonders and stunning beaches, the lifestyle is easy and the cities are fueled by an altogether different energy. Aussies know how to live it up – be it partying or chilling out. You will never be without excitement at hand. You can order a samosa just as easily as a burger because Australia is an eclectic fusion of so many different cultures that you cannot help but admire the complexity. National Parks are in plenty and alongside a buzzing nightlife, you will get to see and experience a way of life too. From secluded beaches (there are over a thousand) to fantastic surfing and snorkeling, from outbacks to vineyards, soaring mountains to rainforests and pink lakes, there is everything to suit every visitor. And oh! You can get a selfie with some of the strangest animals on earth – like emu, platypus, echidna and Kangaroo. Day 1 Dubai- Sydney. City Tour. Welcome to the Land Down Under! Welcome to Australia. Say hello to sunshine and warm weather. This is the country that loves cricket and much as it loves the great outdoors, food, drinks and partying. It is a country that has everything from deserts to beaches to mountains. Upon arrival, finish your airport process and greet a glorious Sydney morning! Enjoy your first breakfast in this fascinating country. 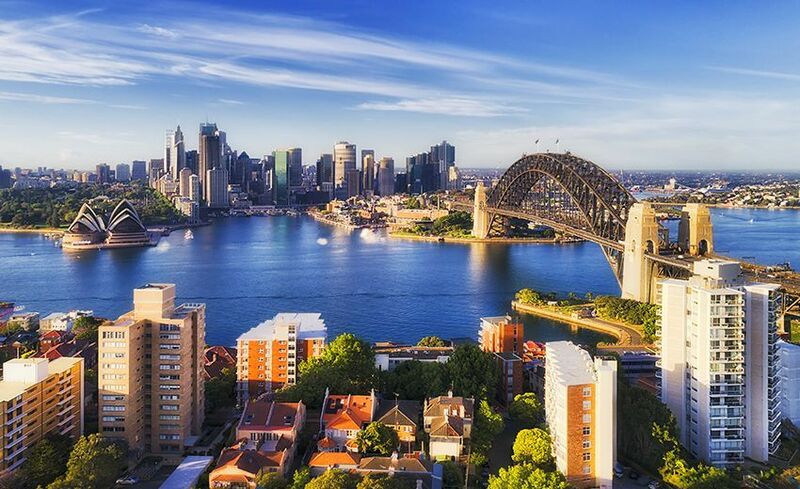 Enjoy the day touring Sydney’s prominent sights accompanied by an expert guide. Travel through the historic rocks district. 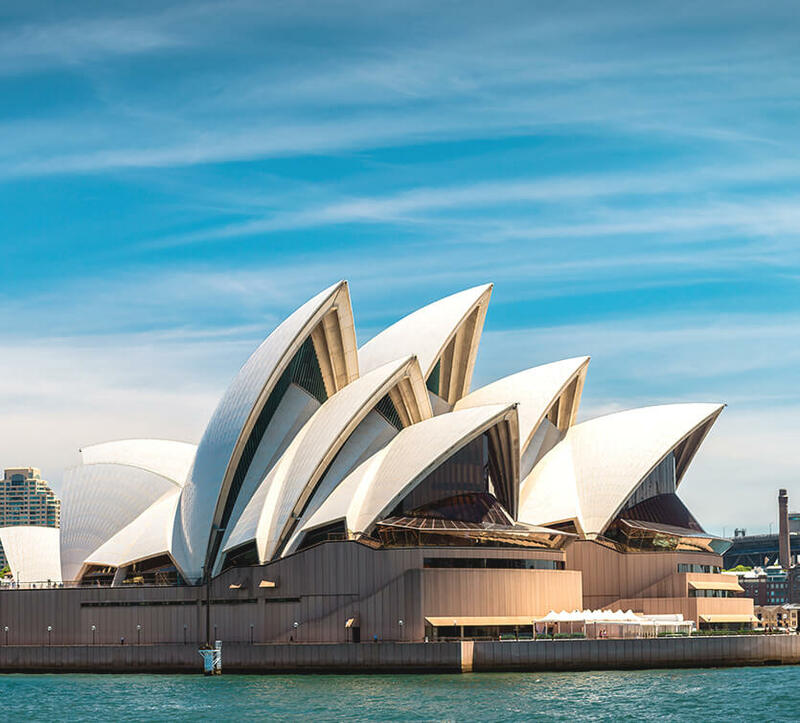 Stop at Mrs. Macquarie’s Chair in the Royal Gardens for a panoramic view of the Sydney Opera House and the Bridge. A quick stop at the Opera House before continuing on to St. Anne’s Cathedral to the Gap; the entrance to Sydney Harbour for breathtaking views of the coast. If allowed with some extra time, you may proceed to Bondi Beach. Check in to your hotel - and relax after that long flight! Overnight in Sydney. Day 3 Sydney (flight) Brisbane City Tour of Brisbane. After breakfast, check out and head to the airport for your flight to Brisbane. As soon as you arrive, go on a city tour of Brisbane. We hope you have your camera charged and ready! 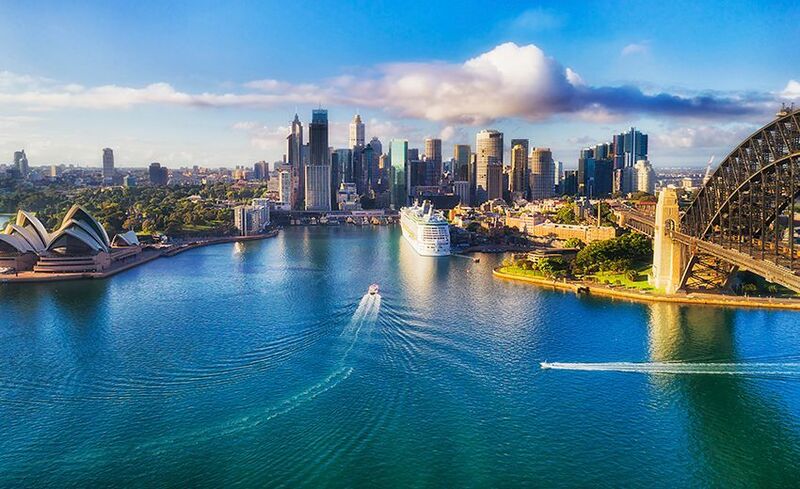 You are after all in Brisbane - the City of Stars! The city is famous for its warm weather making it the perfect spot for you to go swimming in its blue waters! See the Southbank Waterfront teeming with restaurants from all over the world and the Kangaroo Point from you can see the mountains surrounding the city’s outskirts. You will stay overnight at Gold Coast and enjoy its eclectic night life. Overnight in Gold Coast. 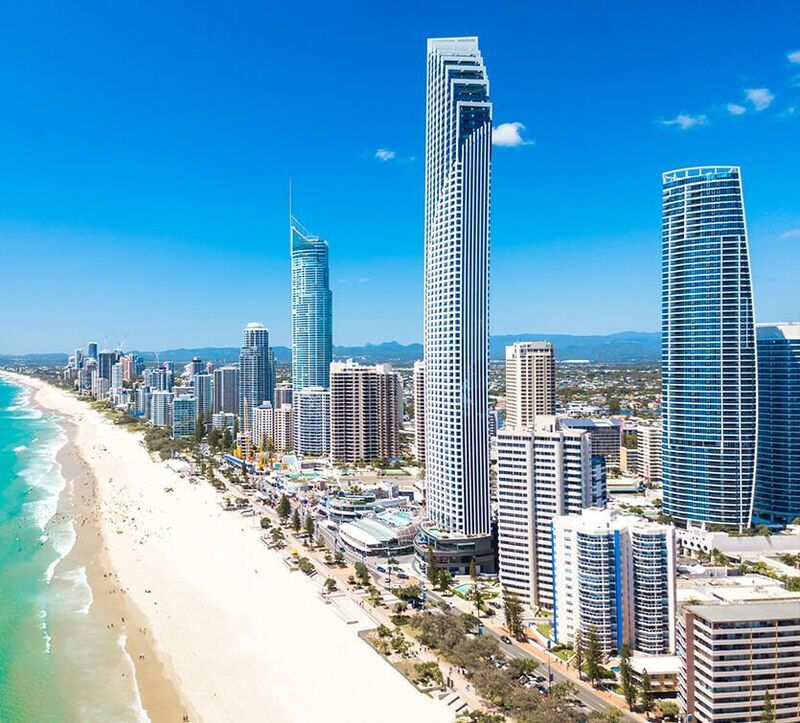 Say good morning to the ever spectacular Gold Coast with a hearty breakfast at your hotel. 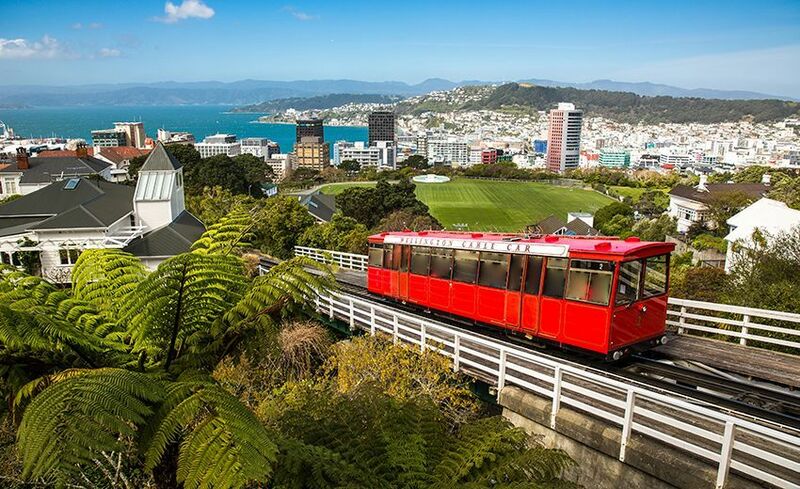 Today, you are free to explore this gorgeous city and all that it has to offer. Or, you can go on the Optional Tour of Dreamworld and WhiteWater World, Australia’s biggest theme park. There is so much to do here that you can easily spend the whole day here. 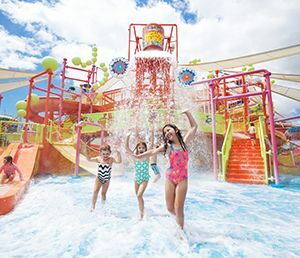 You can go on a Sunset Safari, feed the crocs, visit the zoo, be a part of scores of water-activities, Lego Land, go on Kids Rides, Family rides… Overnight in Gold Coast to continue your exploration further. Enjoy breakfast at your hotel. Check out and leave for the airport to board your flight to Cairns. Upon arrival, head out to explore the Kuranda Rainforest. This place sits 1000 ft above the city of Cairns and is a World Heritage Rainforest. The journey to Kuranda is an experience in itself. we will take a gentle drive up through the rainforest . Once Arrive Explore the quaint village shops for vibrant hand crafted silk and cotton clothing , the art and crafts markets , exclusive jewellery and also go for rain forest walks. After this, proceed for a Tjapukai Show where you will see the Aboriginals in their true form! It is a cultural experience that you are not likely to forget. It is believed that Tjapukai culture is the world’s oldest living culture and is 40,000 yrs old. Follow this up with a dinner before turning in for the night. Good Morning Cairns! 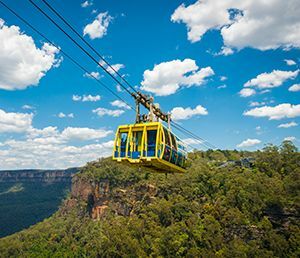 Prepare yourself for the best moment of your Australia trip. After all today you will see the Great Barrier Reef! There are so many legends and history attached to this natural wonder. 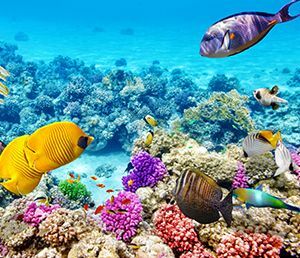 It is one of the 7 Natural Wonders and the largest coral reef system in the world. This 1,400 mile stretch of reef system is home to a huge species of life forms – including coral, fish, mollusk, sharks, rays, dugongs, turtles, whales and dolphins. You can swim, snorkel, dive or sail across this natural wonder. There is nothing quite like witnessing this wonder for yourself. Overnight Cairns. 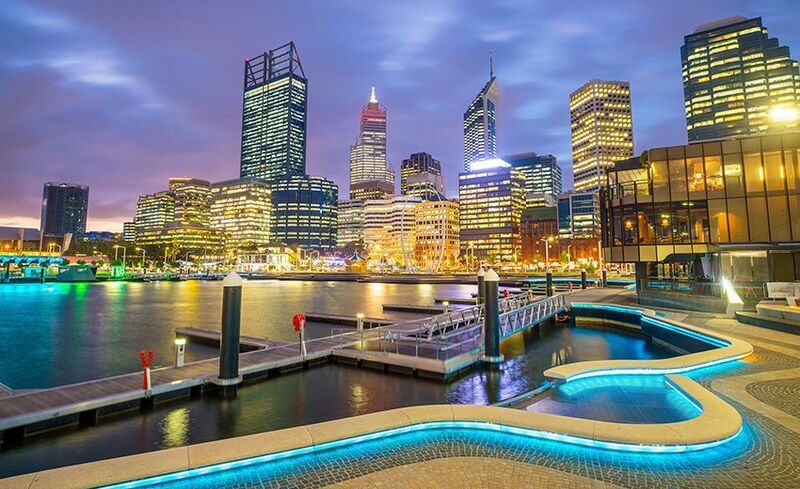 After breakfast, check out and head to the airport for your flight to Melbourne. Upon arrival, meet your guide and proceed for your exploration of Melbourne and get acquainted with all its famous landmarks and sights. Melbourne is considered to be the best cities in the world to live. 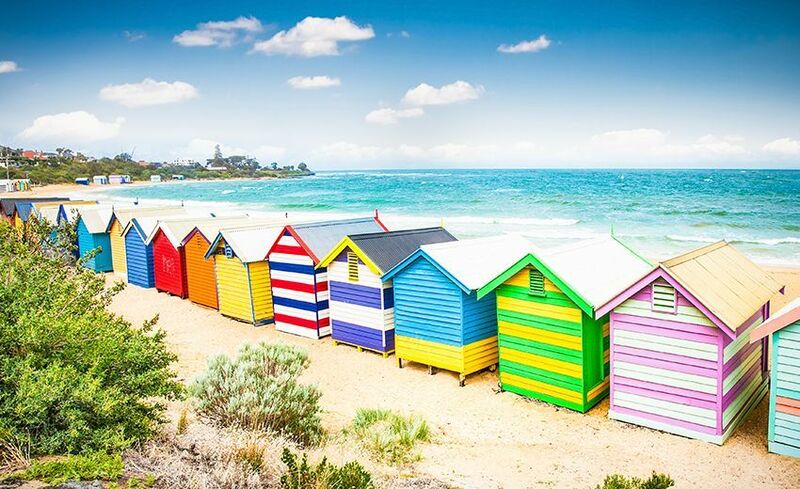 Equally famous for its street art and being a food lovers haven as it is for its picturesque railway station and penguin parade, Melbourne has a life of its own. Here you can swim with the dolphins and visit the most-instagrammable shopping mall – the Melbourne Central Shopping Centre. Luscious gardens and quaint coffee shops and great live music scene make this a city different from any other. Overnight in Melbourne. Wake up to a hearty breakfast after which you will go on a scenic morning drive along the Great Ocean Road. This is one of the most scenic coastal roads in the world. The drive takes your through winding roads alongside the wild Southern Ocean. 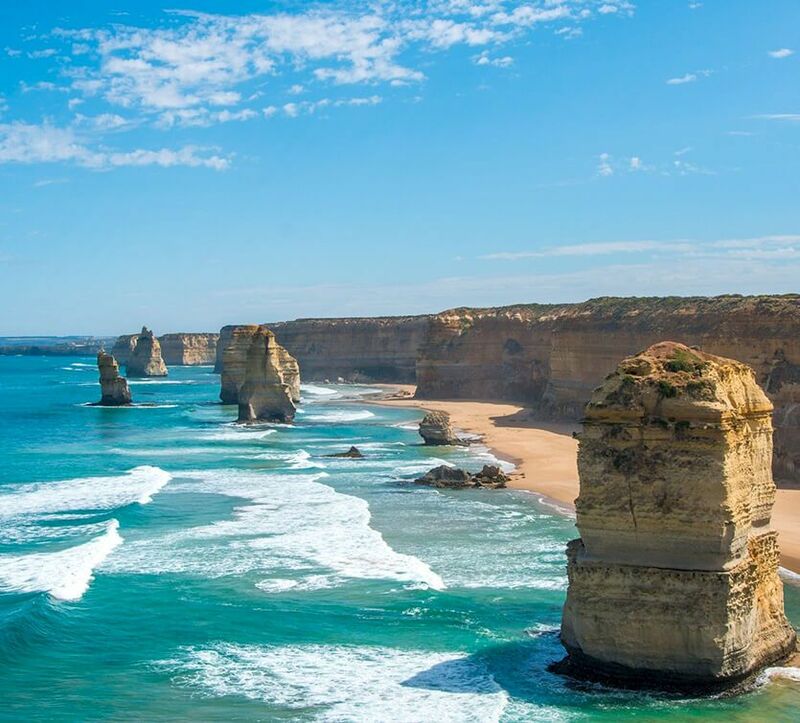 See for yourself the famous waves at Bells Beach and of course the famed 12 Apostles. These craggy limestone stacks rising majestically from the Southern Ocean are a must-see. In the evening, say goodbye to Australia and leave for your new adventure awaiting you in New Zealand. 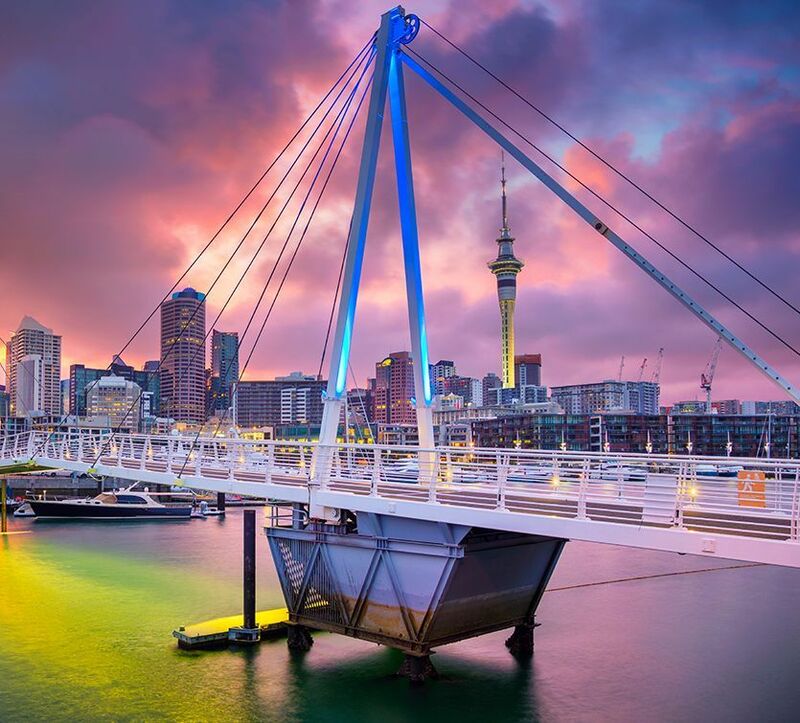 Arrive in Auckland and check in to your hotel. Get ready for your next adventure. Dig into some hot breakfast at your hotel and get ready to explore some caves today. Did you know that Rotura is a geothermal zone and a sacred place of the Maori people. There is so much to do here - walking, fishing, or simply relaxing in a thermal pool. There are more than 11 lakes in and around Rotura, which means, you can even go boating on them! Next, proceed to the magical world of Waitamo Caves. Allow yourself to be amazed by the spectacular Glowworm caves that draws scores of visitors every year. Visiting these caves is an unforgettable experience. 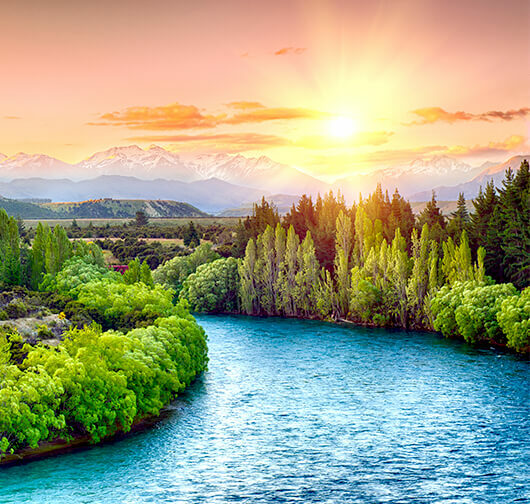 Walk through caverns, discover limestone shafts, marvel at the stalactites and stalagmites and enjoy a boat ride through a grotto lit by thousands of tiny native New Zealand glowworms. Did you ever imagine such a place existed! It is nothing short of magical. After this, return to your hotel for overnight stay. Good morning! This is your last day of your glorious holiday. After breakfast, you have free time to enjoy the city and pick up those souvenirs or join us for a last minute visit to a Winery. Once you are done, head to the airport for your return journey home with beautiful memories and a hopefully, a bagful of souvenirs!